Minshall Construction – Just Continue Building! Market Drayton based construction business Minshall Construction continues its growth as a complete package construction supplier specialising in owner client developments and bespoke specialist animal buildings (many including groundworks and civils), plus all building construction activity including in-house design and fabrication of steel frames to suit. 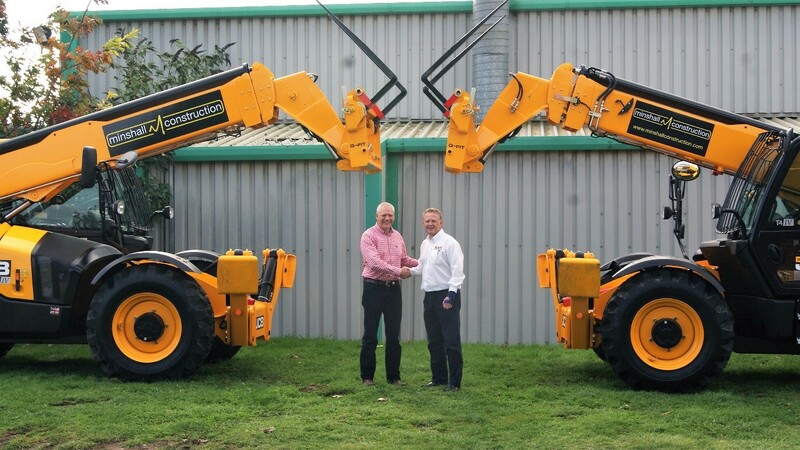 To support this growth, Minshall Construction have just added two new JCB 540-140 loadalls to their existing fleet to aid efficiency and ensure reliability on site. Brian Finch, the Managing Director at Minshall Construction, said “we chose JCB as a supplier (purchased through Gunn JCB) not only because they are the best vehicle for our jobs but also because they come from British Engineering at its best and as such, are an inspiration to other British engineers like ourselves”. Minshall prides itself on its strong client relationships with much repeat business and new business mostly through recommendations.